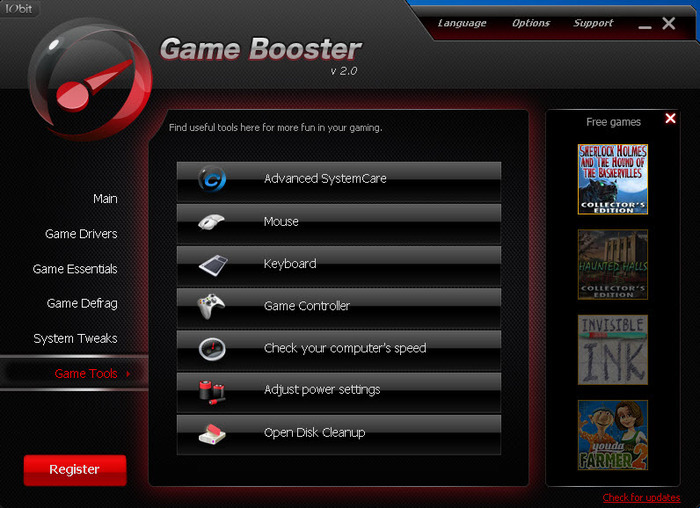 Home pcgames pctooltips Razer Game Booster: Experience the High-Quality gaming for FREE! Razer Game Booster: Experience the High-Quality gaming for FREE! Game Booster aims to get the most out of your system, changing the settings so it can run games better. Not all of us can afford an optimized gaming PC, and use one system for everything from surfing the internet, listening to music to playing games. As new games often use a lot of system resources, running them smoothly requires turning other applications off. 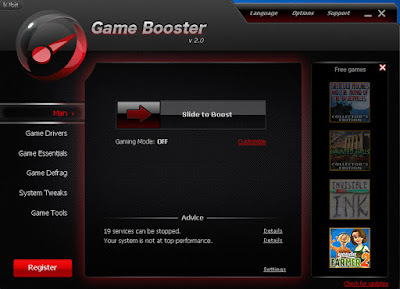 Game Booster is a neat application that will do lots of these processes at the click of a button, freeing up much needed RAM for all sorts of games: online games, shooting games or racing games, among others. 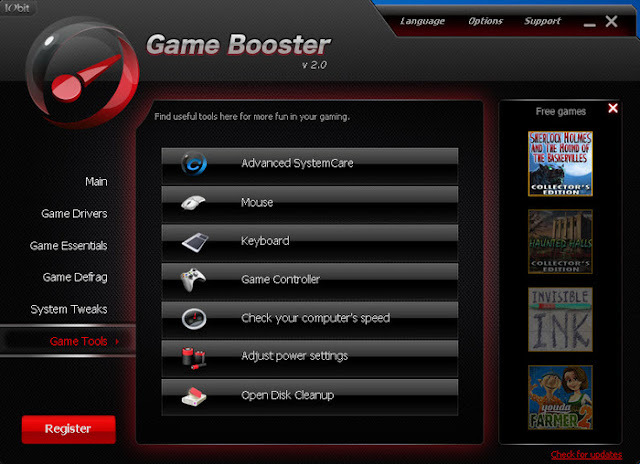 As well as improving gaming, Game Booster will also help in running any system hungry application you choose to launch. Game Booster itself uses very little processing power, and it's great being able to turn lots of processes on and off with a single click. While we found it successful at freeing up a surprising amount of RAM, Game Booster could be improved by being able to turn off other apps people often run all the time, like iTunes. Currently there is no way to edit the list of processes to suspend. Game Booster won't perform miracles, but will help squeeze the most out of your system and get games running more smoothly.